In Kentucky, Mother Nature’s fury can be unleashed when you least expect it, leaving behind downed trees, broken power lines and severe roof damage. At times like these, it’s comforting to know that you have local experts to turn to for roof restoration. AnyWeather Roofing can help you and your home or business recover from storm damage. We provide comprehensive storm damage repairs that Burlington, KY, residents depend on. If your roof is leaking following a storm, you need repairs right away. AnyWeather Roofing offers around-the-clock emergency repair service to cover vulnerable areas and prevent further damage to your home and possessions from water and wind. We want to help you quickly regain your peace of mind following any major or minor weather event. Don’t delay contacting our local roofers because you think our services might be too expensive; insurance companies are generally happy to cover the cost of emergency roof repair to prevent additional claims. Excess granule loss. Gradual granule loss from shingles is normal, but a good hailstorm will speed up the process. Look for an excess amount of granules in the gutters and valleys of the roof. Lifted shingles. Heavy winds can lift asphalt shingles, breaking the adhesive seal that repels water and holds them in place. Shingles do not always reseal, leaving your roof vulnerable to leaks. Bruising. Large hailstones will bruise a shingle, leave a dark indentation where granules are knocked off. Because the impact weakens the shingle mat, it becomes susceptible to deterioration and leakage. Cracking. Very heavy hailstones will leave a circular dent in the shingle that extends through the mat. This type of damage must be repaired immediately to stop water leaks. Dents. Soft metal components of a roof, such as flashing and vents, will demonstrate obvious signs of hail damage. Sometimes storm damage doesn’t show up right away. If you’re unsure whether damage warrants repair, it’s smart to call AnyWeather Roofing for a thorough inspection of your Burlington roof. We can detect hidden signs of storm damage and recommend the appropriate repairs – so you’re not left holding the bag down the road. Call our local roofers today at 859-908-0387 or fill out our online form to arrange a FREE consultation and estimate. 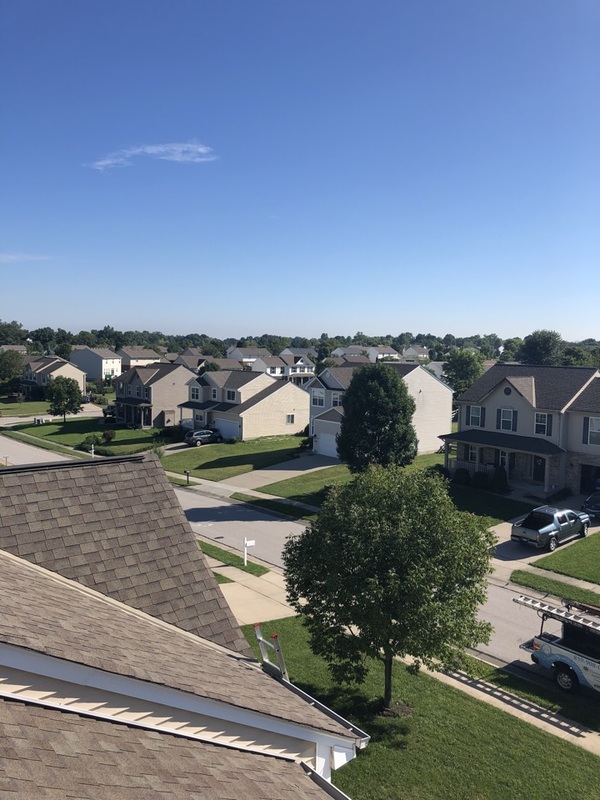 Great results on this roof repair in Burlington Kentucky. Great to help out homeowners and add service and protection to their home.